This unique Star Wars colouring adventure will take you away from your daily stresses and transport you to a galaxy far, far away. Discover more than 100 beautiful and intricate illustrations and mandalas born from the meeting of the Star Wars universe and the Art Noveau style. 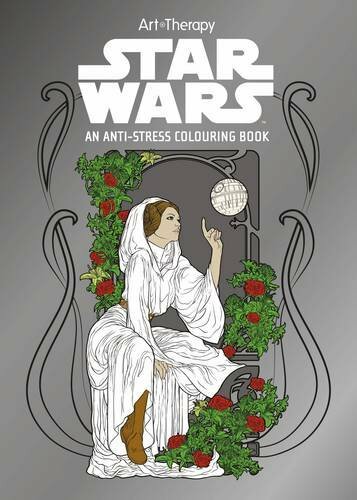 Colour in Luke Skywalker, Princess Leia, Yoda, and all your favourite characters and bring favourite scenes to life. Creativity has no age limit. Like the greatest Jedi masters, explore detachment by creativity, so that the Force will be with you always!